First of all, just want to make sure all my readers know I am still alive. I haven’t posted anything in quite some time. 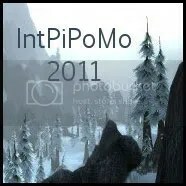 During that time I have missed things like IntPiPoMo 2012, but life just happens that way sometimes I guess. I hit 90 on my hunter, Illayeria, about a month ago. (I am taking forever to level toons this time.) 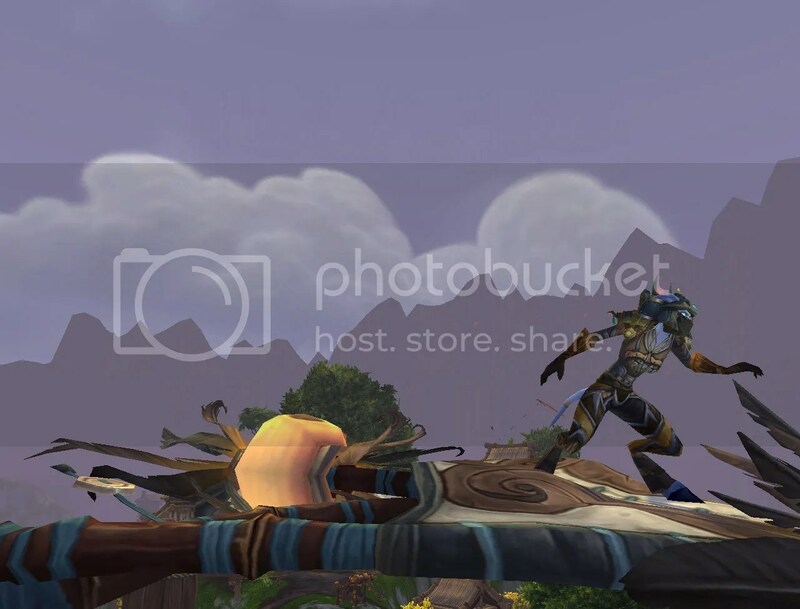 I still haven’t even got her to LFR level, but I did make some cool leveling screenshots to share. 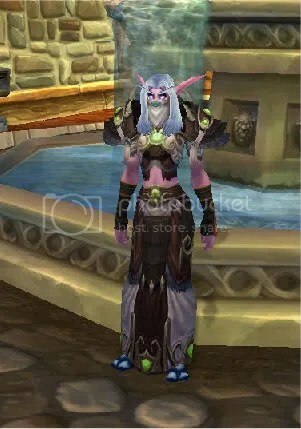 I got into World of Warcraft in December 2004 when my husband got the game for me for Christmas. He thought since I was on the computer so much I might enjoy playing the game too. At first I played with my husband some, but due to different hours of play and different play-styles I eventually ended up making new friends on the game and playing with them. 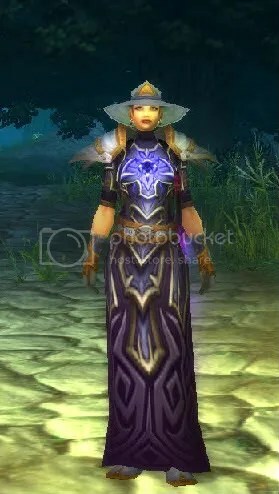 In 2005 I even became a guild-leader for the first time, which has continued off and on since then. 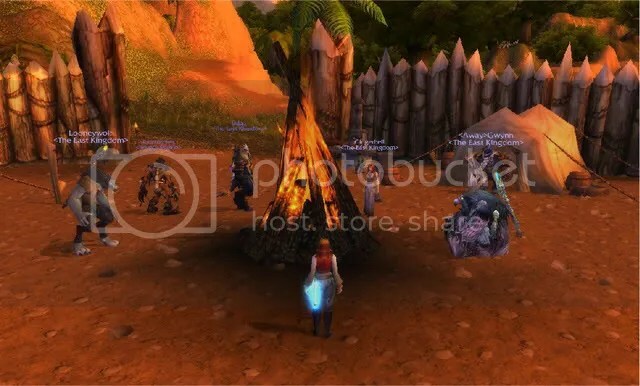 For those that don’t know, WOW is a MMORPG- Massively multiplayer online role-playing game. Millions of people worldwide play the game at the same time, and you interact with both them and the massive in-game world around you. There are many things you can do in game… play by yourself, learn professions and sell things, play with others, fight the enemy players, etc. I enjoy many of these things, but I like the social aspect of the game the most. You can meet many different types of people in game of all ages, and I enjoy having them in my guild so they can interact with each other. 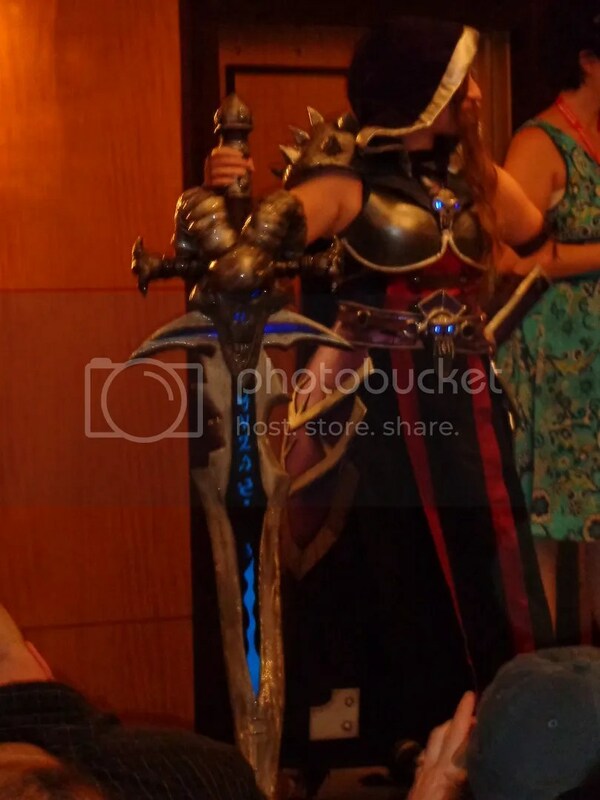 Some of my guild members are from a forums group on Cafemom called World of Warcraft Moms. Some of us are moms that have gaming as our major hobby, and some are moms who just pop on for an hour here and there when they have time. I even have one mom in game who is older whose entire family is in my guild- her toons, her husband, her son, and her daughter. My experience with moms who play the game is that we are just as good as anyone else who plays. Some men will joke that women don’t play the game… but there are a lot of us, and we are capable of outplaying them even! I think being a mom doesn’t mean that you can’t have outside interests, and World of Warcraft is one I have enjoyed with my husband for 7 years now. 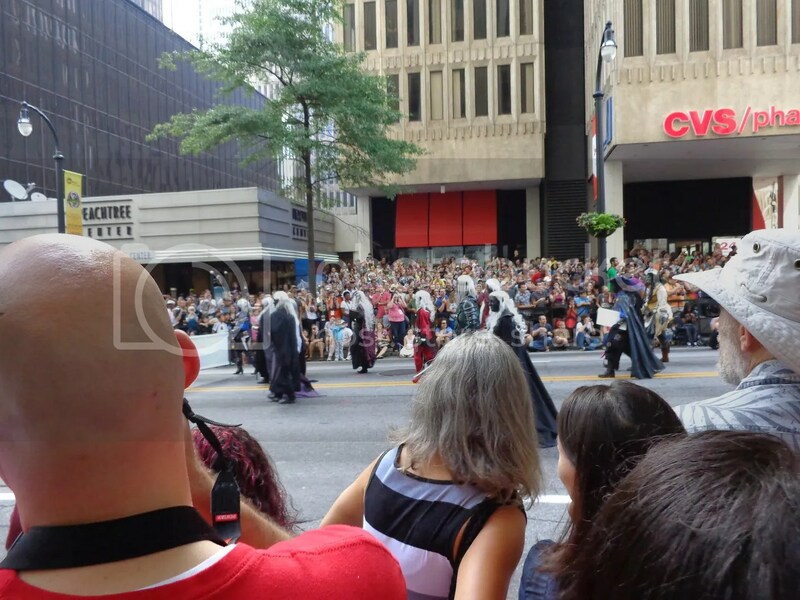 I don’t know any other moms on Atlantaareamommies.com that play WOW, but we would love to have them on game with us if they were interested. Last night was a fun night for a few of us as we sat around the Ft. Livingston campfire in Northern STV. We had a storytelling night full of making up fantastic ramblings that made each other giggle. Being on a PVE server, it was extremely difficult to drum up support and attendance for this event, but those that came had a blast. The first person starts telling a story, then as you go around the circle each person adds to it until you come to a stopping point. We even started acting out the stories using emotes, dueling, and items such as the romantic picnic basket and the beermaiden trinket. We did two major stories. The first involved a mysterious goblin outside Stormwind who fought one guildie and sent Chatmay a love letter. The second story involved a petition to the king for an East Kingdom pie-making contest, but there was a shortage of sugar so it ended up being a dueling contest instead. 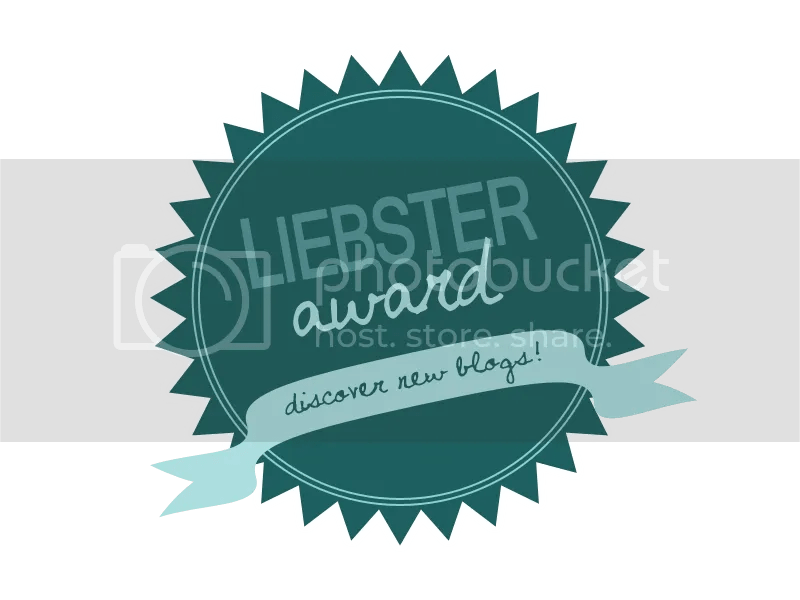 We gave one prize to best embellishements on storytelling to Looneywolf, who was a very good storyteller and actor. 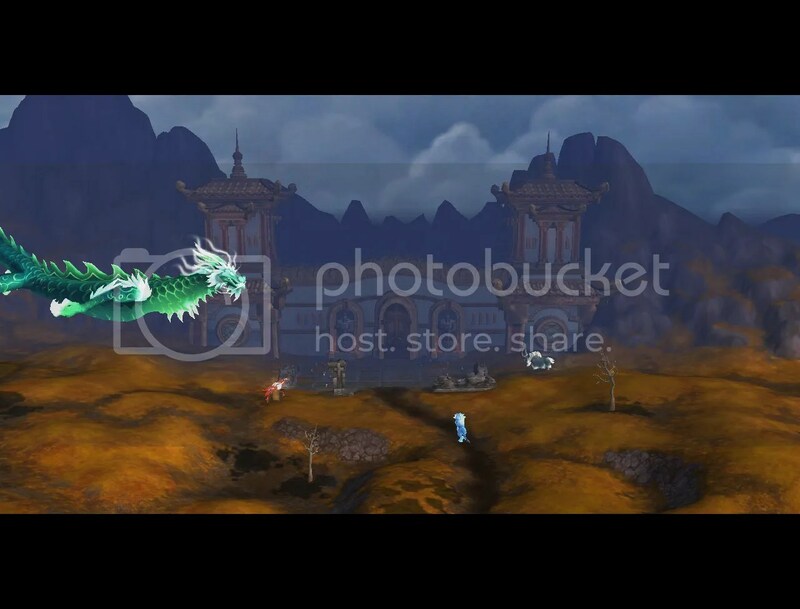 Blizzard.com has screenshot contests all the time, but your guild can also host one! Our guild just completed our second week of having a screenshot contest on our facebook group page. 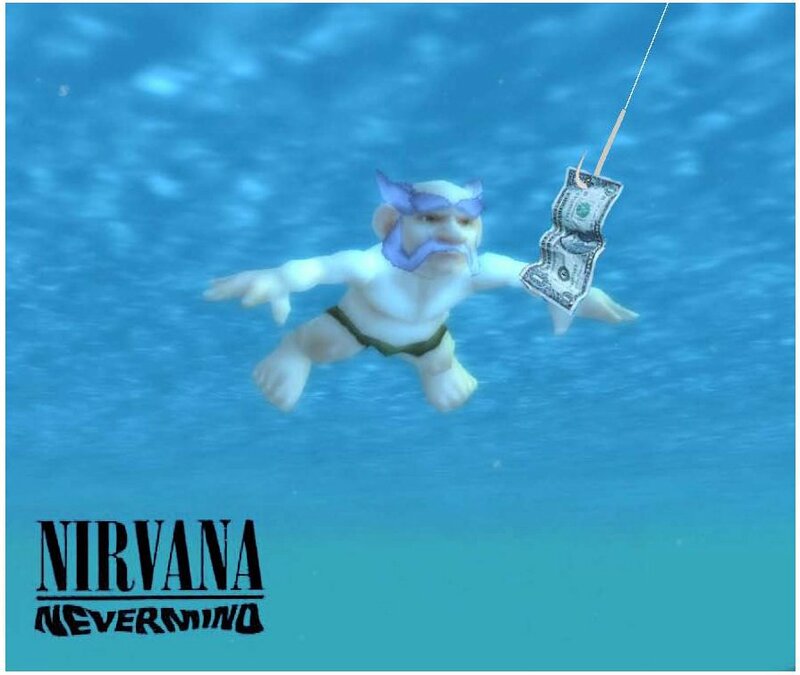 The theme was famous album covers in WOW. 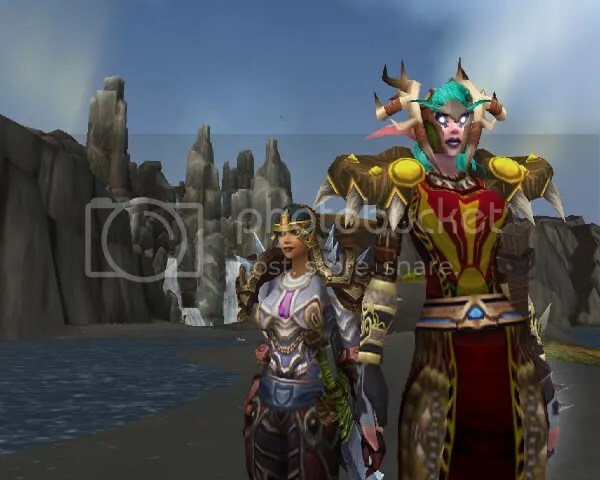 We allowed photoshop, and at least one guild member had to be in the shot. Here is the winner by Humbert! 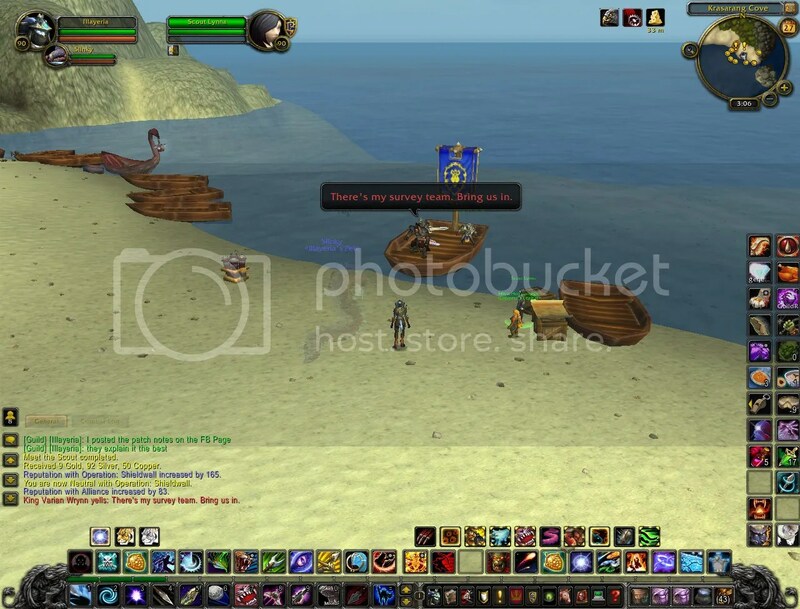 Many people in WOW have approached me saying they don’t know how to take a screenshot. You simply hit the Print Screen button. 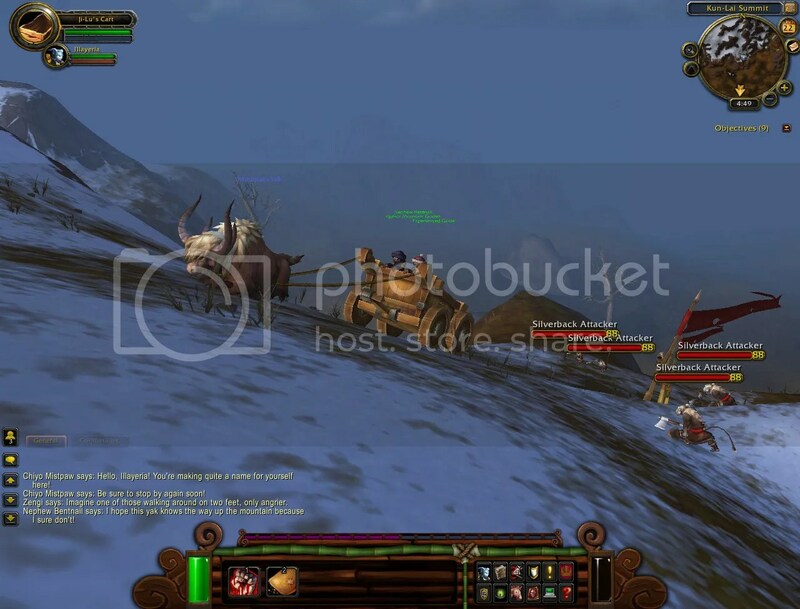 Then the screenshot is saved to a folder under World of Warcraft called Screenshots. 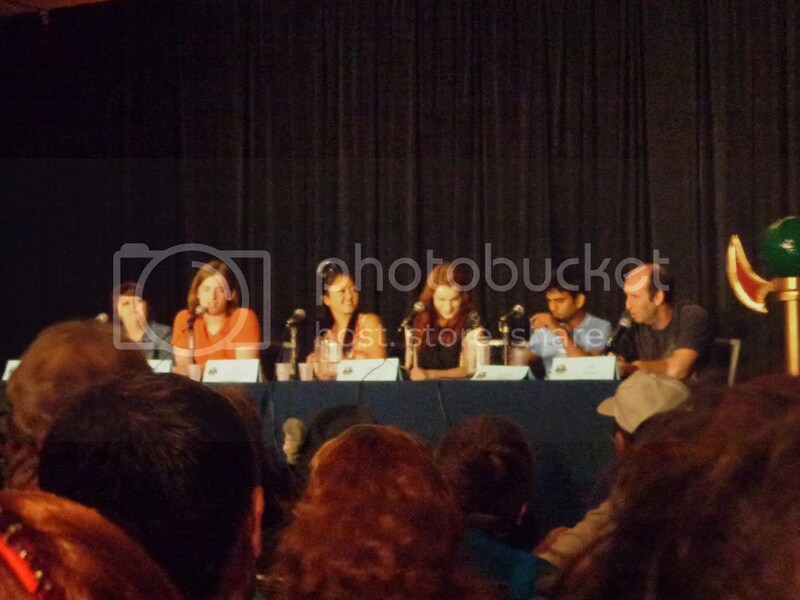 You can upload it to places like photobucket, upload to facebook, or just send it to your friends. If you are wanting an even better screenshot, it’s always a good idea to hit Alt-Z to take everything off the screen first except what you are wanting to photo. 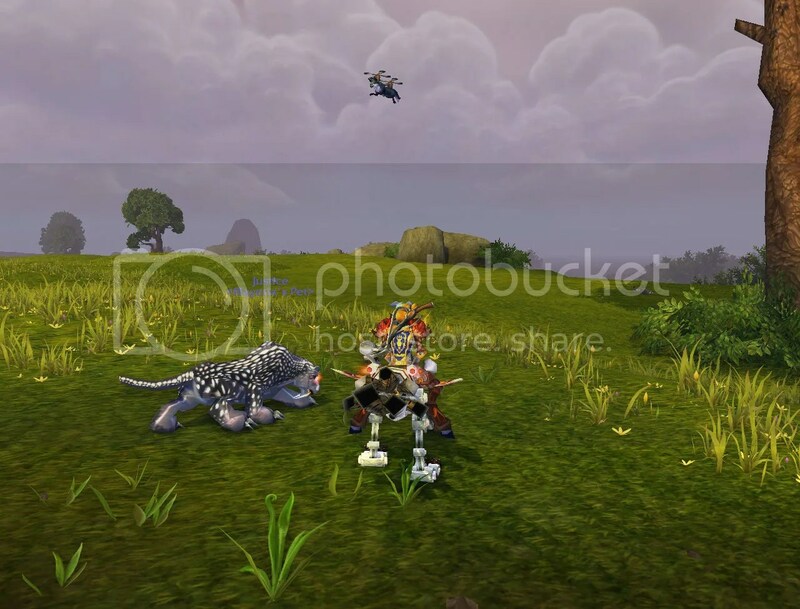 For guild screenshot contests, it is a great incentive to get people to enter by giving gold as a prize or maybe that prized companion pet that everyone wants. My guild is giving 200g as a prize each week to the winner of the contest, which is judged by another guildleader I know. Now Humbert is riding off into the sunset with that gold falling out of his little gnome pockets! Spring is in the air- time for a guild party! It had been since Christmas since we had a guild party… my guild has added almost 150 more characters since then. It seemed like definitely it was time to put faces to names, plus share in some fun games. 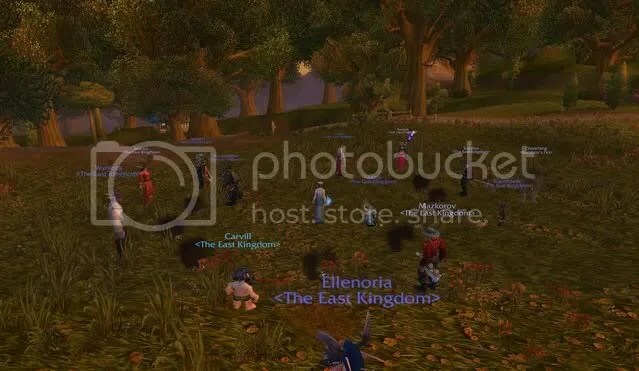 This one was held on a Wednesday night in April outside Stormwind City. 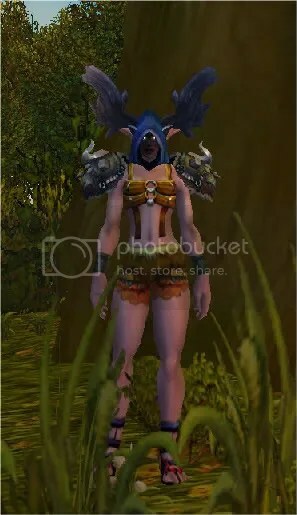 First our guild mascot, Druid Gaga, made an appearance. For her third guild party, I chose a lingerie-looking outfit with moose horns added: Druidic Helmet of Second Sight, Purehorn Spaulders, Murkblood Chestpiece of Strength, Sentinel Trousers of Owl, and the most awesome RP boots ever- Sandals of the Insurgent! Yes, the sandals did cost a bit, but I think they are worth it. This time Druid Gaga even had a macro-ed tune ready to share. (To Bad Romance) “I want your ugly, I want your disease; But save me baby, no horde please. I want your love, La La La Alliance Love.” Then she unveiled the pony keg. For my outfit as guild-leader, I chose something in white/creams and light blues. 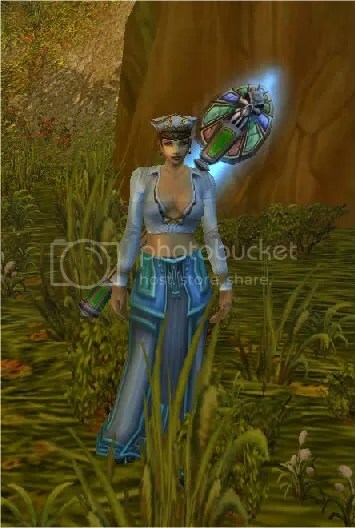 It includes the white Gossamer Headpiece of Whale, Buccaneer’s Vest of Owl, Leggings of Sacred Crest– BOE from Outlands, and Zabra’s Misplaced Staff, a BOE from Northrend. The first contest event was Crashin’ Thrashin’ Robot Race. Everyone was given a robot and told not to start it yet. Everyone formed a circle around me, and started their robot on the count of three. The last robot standing wins, and we played twice. 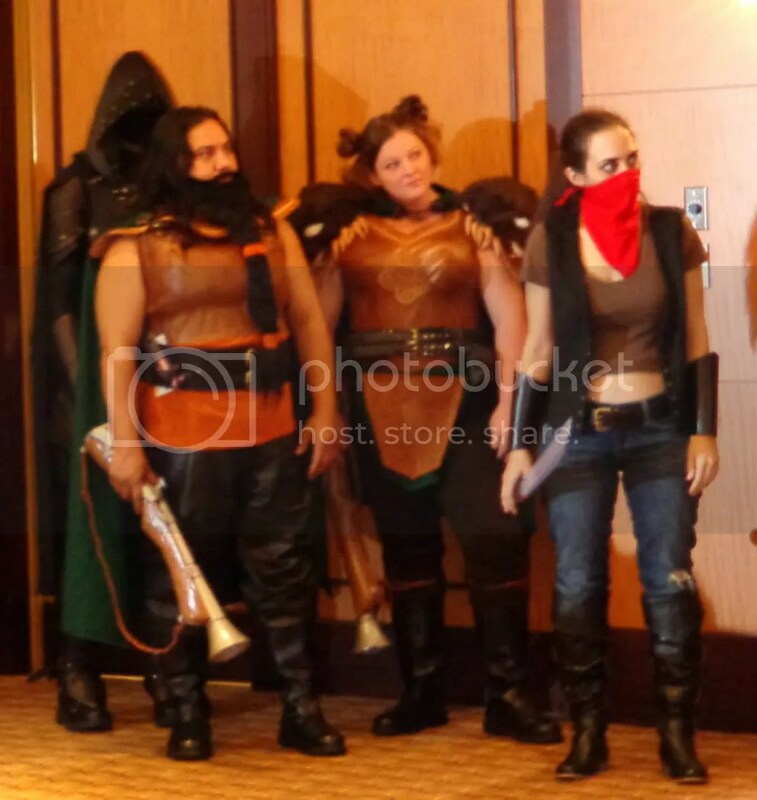 Winners were given the Deweaponized Mechanical Robot companion. The second contest event was Beat Up Your Guildmaster. I planned this thinking most people coming were under 85 or new 85s, but it turned out to be the opposite. I had planned on dueling in my RP gear, but since the ones wanting to duel were geared raiders, I did have to resort to my gear. The prize was for the one who got me to lowest health, but I did end up losing two duels. So those two players faced off to decide the winner, who was given 200g. In hindsight for the events, I decided I prefer the first event with steam-tonk controllers because you can actually control them. For the second event, I should have had an under 85 bracket and an 85 bracket. Only one player under 85 entered, and I think there was some intimidation going on there. We had about 15-20 show up during the course of events. Those that didn’t partcipate in the contests had fun just hanging out and watching. We were on vent and in raid chat together. 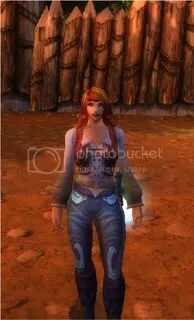 One night I rolled a horde alt on another server just for fun. I somehow found myself in a new guild, and they were discussing plans to have “training classes” by upper level members in the guild for lowbies. My guild doesn’t have many lower level toons anymore, but we have lots of 85s rolling alts. Which means they are learning how to play classes for the first time in many cases. So I decided that the training class might be a good idea for our guild too. I have been promoting the events as more of a Q&A session about a certain class with a moderator who has played each spec (or more than one moderator if I can’t find that kind of player). I have played every spec on warlock, so I decided to host a warlock class first. We had about five or six other locks attend. One was from another guild, but I mostly kept this for guildies only. I first went over lock basics of each spec, and then tried opening it up for questions on vent….Silence. But then I got the standard lock questions everyone wants to know- what is the best leveling spec, what is the best minion to use, etc. I answered these then moved on to things like glyphing and talent tree points. I think this event would be best for guilds with a lot of lower levels, but there is always room to learn more about your class! 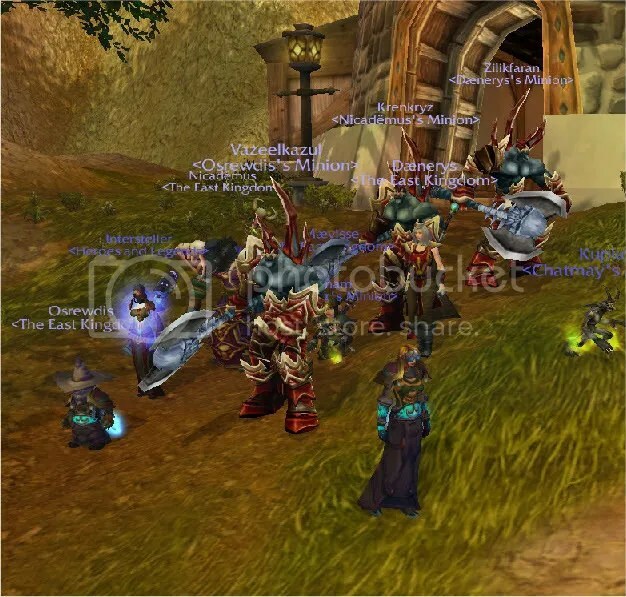 This week I stopped by one of my old servers, Moon Guard, and I saw some players walking around RPing in PVP gear. For example, this player, who logged off before I could talk to him, actually inspired this article… he is wearing all Field Marshal gear from level 60 along with Ursol’s Claw staff. So I went on the hunt for players who use PVP gear in their RP outfit, a very good choice considering the cool sets you can choose from… but also because it shows your toon’s history or bragging rights. 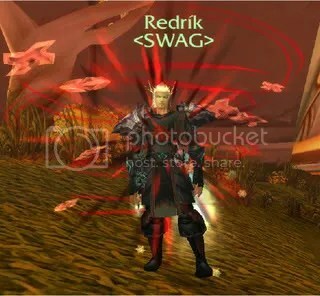 The first player I am featuring is Redrik of Doomhammer. He is wearing several pieces of Wrathful Gladiator set along with Titan-Forged Spaulders of Triumph. 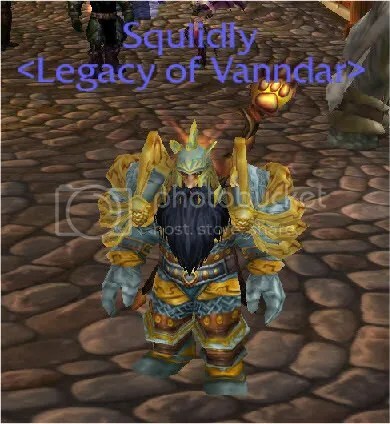 He wears this outfit just walking around town on a PVE server. On Moon Guard, I also found Darissena. 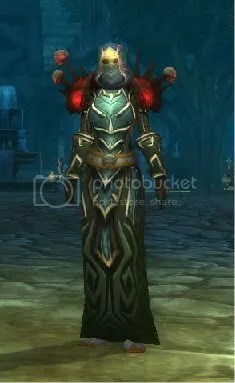 She combined a newer Bloodthirsty Gladiator’s Kodohide Robes with Ebony Flame Gloves from Blackwing Lair, Bloodthirsty Gladiator’s Wyrmhide Spaulders, and Vishas’ Hood from Scarlet Monastery. She feels that using PVP gear gives her a battle-hardened look fit for her RP story. I still had some PVP pieces in my bank as well. So I tried making two outfits with them. First, I made a dark fighter kind of look like others I have seen. I used Gladiator’s Felweave Raiment with Crown of Enfeebled Bodies, Merciless Gladiator’s Dreadweave Mantle, Corla’s Baton (wand), and Gladiator’s Dreadweave Gloves. But then I made an around-town outfit using my Voidheart Robe. <Author Note: Yes, I have the helm, and it is one of the ugliest things I have in my bank (which is why it is not being used in this article).> I combined it with other purple/gray items such as Laughing Skull Cap of Intellect, three pieces of the Emberfire PVP set, and Greatsword of Horrid Dreams. I wanted to show that PVP gear can be combined with other pieces for any kind of look. 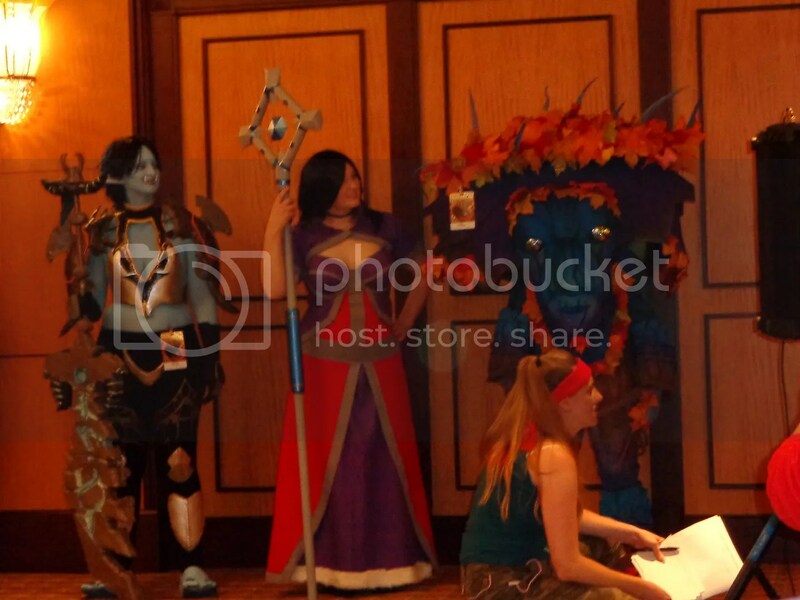 After looking over these pictures again, I can’t decide which I want to do more- go RP or go do some BGs. Our guild of around 375 has been doing a guild lottery for the past four weeks. We have a mega-lottery for mats and drops that are since cata came out. Then we have the regular-lottery for lower level mats and drops. 1) You have to have a tab of your guild bank set aside for donations. It must be cleaned out on a regular basis if donations are heavy, which means distributing the donations or moving them to other tabs. 2) You must provide a list somewhere of preferred items for donation. This avoids junk the guild doesn’t need being put into the tab, plus it tells how many of an item must be donated for a ticket. I base the amounts needed of each item on a common value. For example, I might require more volatile earths or lifes than volatile airs. Some items I just list as BOE drop- depends on value of item. 3) Set aside a realistic amount of money for prizes or make sure you have the mats coming in that you would need to craft a prize. If the lottery isn’t paying for itself, it isn’t working well. Right now our mega-prize is worth 3000g while the regular prize is worth a couple of hundred. While some people think this is too much, I have had two players pass on the mega prize to let the guild keep the donations, while two other players that needed 359 upgrades were given a crafted item that we had the mats for. The regular prize has been the only one I have been buying on occasion. 4) Have a team that keeps a log of donations. I log on all the time, so I am mainly doing this alone. However, if you have a ton of donations coming in or you won’t be on all day, you need to assign people to check the bank log at a certain time each day. Write down the player’s name that donated, what they donated, how many, and even the time if you want to get that detailed. So at the end I have a list of all who donated for the mega- and regular- lotteries that can be posted somewhere where anyone in the guild can see it. This shows them what they got credit for as well as gives new members ideas of how the lottery works. 6) Have a roll-off. It is impossible to get everyone online at one time that donated. So I wait until there are lots of members on to help with it. This also is exciting for new members and those that don’t donate because they want to know what is going on, leading to perhaps even more participation the next week. I form a group to do the roll-off based on players I know are not busy that will help. I look at the total tickets for each player, and then I have that player or someone in their place roll in party or raid set amount of times they were awarded. The highest roll for each lottery wins. 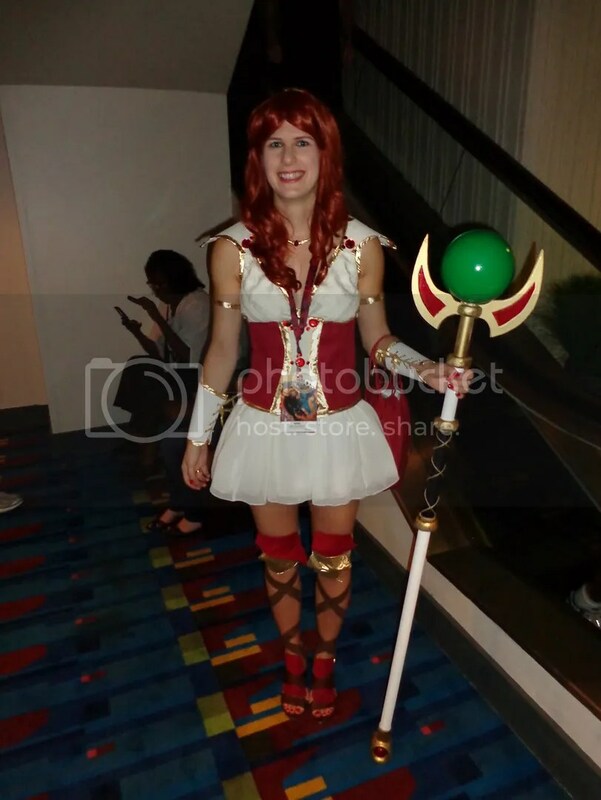 Again, this is for a medium to medium-large sized guild. I think it would be extremely difficult to do this for more than 400 players because the log only shows so many lines. And sorry no pictures for yet another post. I will get back to screenshots later this week.